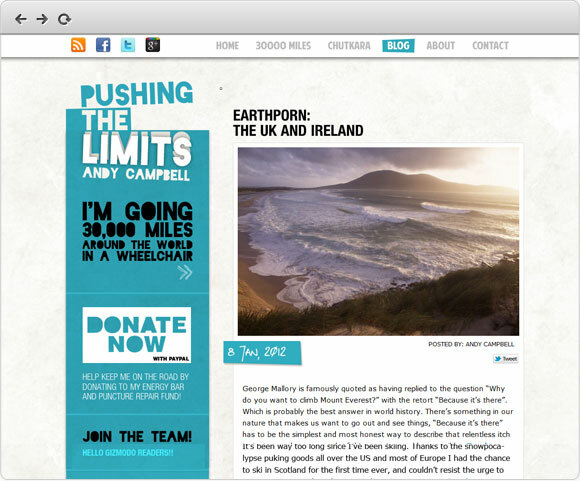 A professional website and blog for disabled adventurer and extreme athlete Andy Campbell. 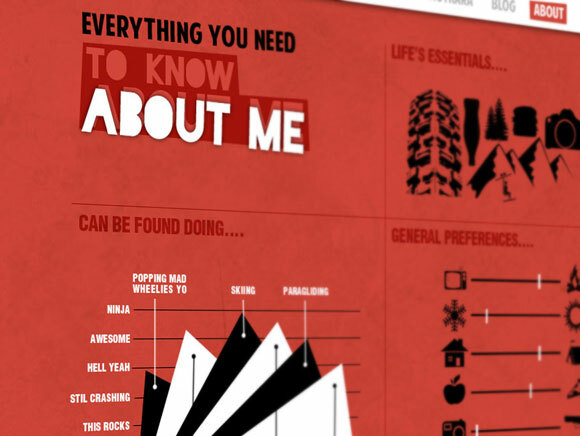 Andy's brief was to have a homepage subdivided into sections, each of which would scroll into view through the use of a fixed navigation bar. Once clicked through from this initial landing page, the structure and navigation would revert to that of a traditional blog.